It’s hard to find a durable storage solution for your home, which is why this Booker 3-piece floating wall shelf is a good choice. 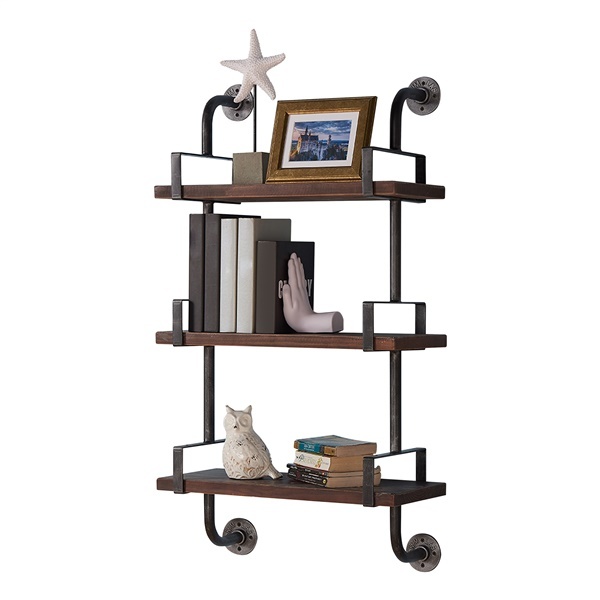 This gorgeous modern shelf is made of three pine sections finished in walnut and accented by metal piping with grey coating. This is a durable and stylish way that you can add storage to your room and can hold everything from pictures to books to knickknacks.